Often mentioned to as an all-inclusive golf resort, Staffield Country Resort does offer a variety of leisure activities, but is really centered on the Graham Marsh and Ross Watson designed 27-hole golf course. The resort is located almost 1 hour from Kuala Lumpur city center or slightly shorter from the airport. Since its official inception in 1994, the Staffield golf course has garnered a good reputation for offering exciting challenges for professional and amateur golfers alike. Staffield has been awarded as one of the "Top 5 Golf Courses in Malaysia" in 1995 and 1997, "Top 10 Golf Courses in Malaysia" in 1999 and 2001 and "3rd Best Golf Course in Malaysia" in 2003/2004 by Golf Malaysia Magazine. The 335-acre course is spread out over rolling hills and meadows and features 81 bunkers and 7 lakes. 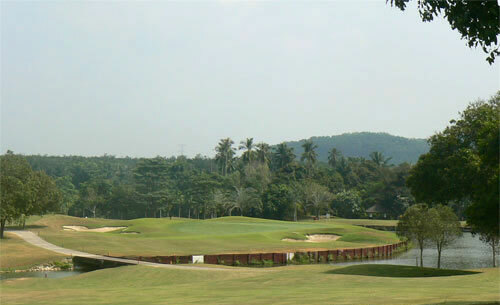 The Bermuda grassed three nines comprise one of the most challenging courses around Kuala Lumpur. 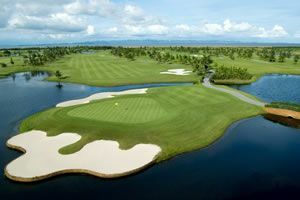 All three courses have strategically placed sand traps, water, fairway mounds and tall grass. The Western and Southern Nines play to 3,108 meters and while the Northern Nine is slightly longer at 3,197 meters. Some of the best holes include the par-4 2nd which requires a precise second shot to hit the green in two. Hole 5 is a monster par-5 playing to just shy of 500 meters. Three strong shots are required to find the green, which is perched atop a hill. Big hitters can let their drives rip to earn a par. The 8th is the best par-3 on the course. 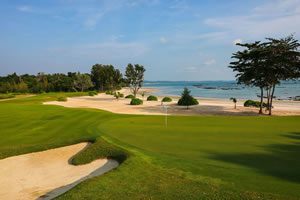 Playing to only 130 meters it requires pin-point accuracy to hit the beautifully landscaped green. The large timber-wall retained lake lurks to the front and left of the green makes club selection critical. The closing hole is a par-5 with definite birdie opportunities. Avoid the out of bounds left of the fairway and hit long so that the green is reachable in two. Shorter drives will require a short pitch to hit the green in regulation and if struck with precision can be one putted for birdie. The English Tudor-styled clubhouse at Staffield features full locker rooms along with pro-shop. Additional recreational activities on offer include tennis, squash, swimming pool and fitness. 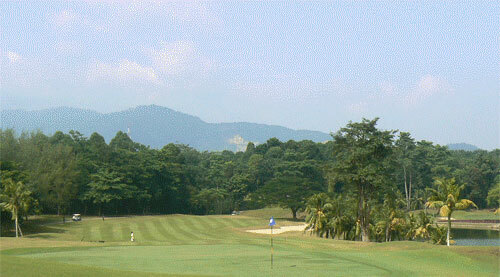 Staffield is a good choice for Malaysia golfers and visitors looking for a round in a relaxed setting outside Kuala Lumpur city. 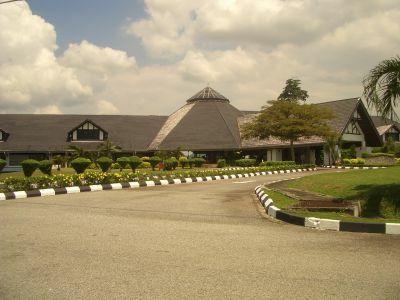 The golf resorts countryside ambience is a nice break from many of the busier and more renowned Kuala Lumpur golf courses. 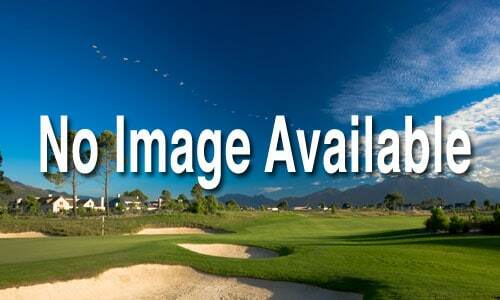 Have you played golf at the Staffield Country Resort and took some nice photos that you would like to share with other golfers? Send them to us and we may upload them here. Thank you in advance! Be warned! Just came to Kuala Lumpur for a short business meeting /golf trip and was appalled at the condition of the greens here. Apparently the ex manager "poisoned" the greens with a bad batch of fertilizer, killing every green, they closed one section of nine holes for the next three months. My old junk course in Canada has nicer greens than this and we have 8 months winter.